These privacy terms apply to every use of the web pages of www.dalco.nl In order to make this website and associated services available to visitors, Dalco processes personal details. These privacy terms explain which details are used by Dalco and for which purposes, as well as what we do to protect your privacy. Dalco will process your personal details only in accordance with the General Data Protection Regulation. Your personal details will be used only as described in these terms. Other than that, we will use your personal details only with your permission. Dalco processes your personal details because you make use of our services and/or because you have provided them to us yourself. Which personal details does Dalco process? In case you are convinced that we gathered personal details with regard to minors, without this consent, please contact us via info@dalco.nl , whereupon this information will be deleted. Dalco will not take decisions concerning cases that may have (significant) consequences for persons, on the basis of automated processing. This concerns decisions taken by computer programs or systems, without the interference of a person (for instance an Dalco assistant). Dalco will not sell your details to third parties and will provide them only where necessary for the implementation of our mutual agreement or so as to comply with legal requirements. We enter into an agreement with companies that process your details on our behalf, to ensure the same level of security and confidentiality of your details. Dalco remains accountable for this processing. 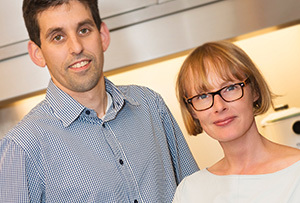 Dalco makes use of functional, analytical and tracking cookies. Dalco uses Google Analytics to gain insight regarding, for instance, visitor flows, traffic sources and page views on our website. This means that Google acts as an adapter in the processing of personal details by Dalco. Google will never process your entire IP address and protects your anonymity as much as possible. Dalco, for example, cannot identify individual visitors paying a visit to our website. This website has a link with SalesFeed. SalesFeed is used to generate statistics about the origin and behaviour of our target groups. For this reason, SalesFeed processes visitors’ IP addresses. The IP addresses of part of the Dutch organisations visiting this website, are linked to a database containing company details. Information about organisations that are registered as a consequence of their visit to this website, will not be shared with third parties. For more information about SalesFeed, go to www.salesfeed.com. 1 cookie is placed by SalesFeed as a standard. This cookie is a session cookie, also called a first party cookie. A session cookie is used to aggregate events. This cookie will expire after 30 minutes of inactivity. SalesFeed does not place third party cookies for visitors, by default. Read the Salesfeed privacy statement here: https://www.salesfeed.com/privacy-verklaring/. Dalco has taken technical and organisational measures to protect your personal details against loss or unlawful processing. Individuals who have access to your details, on behalf of Dalco, are obliged to maintain confidentiality, for instance on the basis of rules of conduct and professional practice, applicable to them. In addition, you can request us to change, supplement, delete or shield your personal details in case they are incorrect, incomplete or irrelevant, or are otherwise processed in conflict with a legal requirement. You can do this by sending an email to info@dalco.nl. Dalco would like to point out that you have the opportunity to file a complaint with the national regulator, the Personal Data Authority. To do this, please contact your data Authority. Dalco takes the protection of your details very seriously and takes appropriate measures to prevent misuse, loss, unauthorised access, accidental disclosure and unauthorised changes. If you have the impression that your details are not adequately protected or if there are indications of misuse, please contact us through info@dalco.nl. Dalco reserves the right to adjust or change this privacy statement at any time and for any reason. Nothing in this statement is intended to create any obligation or agreement between Dalco and visitors of this website, or to provide any information in that respect. Do you have questions or remarks in connection with the processing of your personal details on the Dalco website? 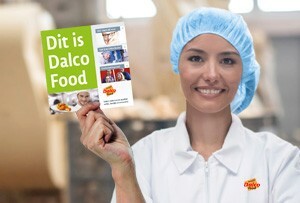 Then please contact us through info@dalco.nl. Dalco, with registered office at Sweelinckstraat 8 in Oss, is responsible for the processing of personal details as described in this privacy statement.